Behold the best pancakes you will ever make! You are welcome! 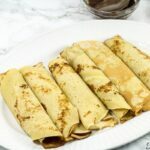 These are Cameroonian pancakes just how I like them – soft, fluffy, sweet and so yum! If we were in a world were pancakes were vegetables, I would be so happy. That’s because I would eat them every single day. 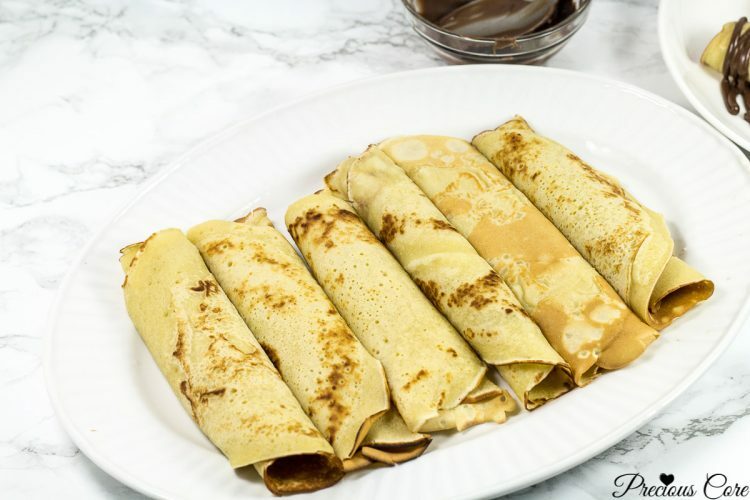 I love pancakes in every shape and form: American pancakes, waffles, Cameroonian pancakes, pancakes made at home, pancakes bought from the store, pancakes at the restaurant, “scrambled” pancakes, everything pancakes! But can we just agree that there is nothing like a good homemade pancake? It is epic, filled with flavor and so good. To take the experience further drizzle some chocolate spread on top and you will be over the moon. The basic ingredients include flour, water, sugar and eggs. In the yesteryears when women were girls, I have made “pancakes” just flour, water and sugar. And they still turned out great. True story. This is the way I grew up making pancakes in my homecountry, Cameroon. They are very similar to Nigerian pancakes, Ghanaian pancakes, Kenyan pancakes and even South African pancakes. So we could call these African pancakes too though the recipes may slightly differ by country. They look like crepes but they are thicker than crepes and they are different from American pancakes. Only 8 ingredients and 3 easy steps are needed to make these babies. Apart from drizzling chocolate over my pancakes, sometimes I would add coconut to the pancakes to make coconut pancakes. At other times, I would make a chocolate crepe cake out of them. Simply divine! Watch how easy they come together in this video! Easy pancakey! 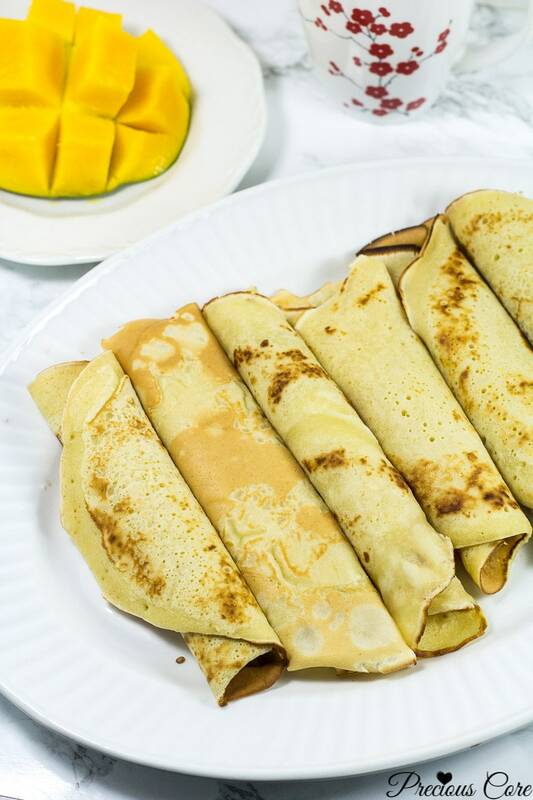 How to make Cameroonian pancakes. 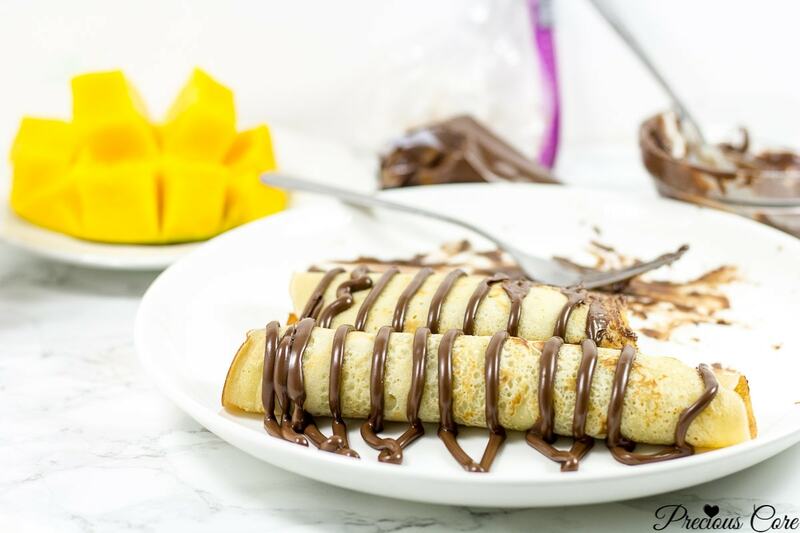 These are like crepes by sightly thicker than crepes. They come together in no time! This is the perfect breakfast recipe. Enjoy! Add in the water, milk, vanilla extract and 2 and a half tablespoons of the oil. Then mix together to form a batter. Beat the eggs then add to the batter and mix to incorporate. Heat a frying pan on medium heat. Add in about 1 teaspoon of the remaining oil. Spread the oil around to coat the bottom of the pan. Let it heat up for about 2 minutes. Let the side down the pancake cook for about 2 minutes then use a spatula (or an eating spoon haha!) to flip it to the other side and let it cook for 1-2 minutes. Remove and place on a tray. 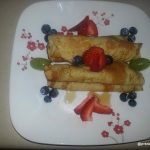 Serve your Cameroonian pancakes warm - I love serving them with some chocolate drizzled over them and some fruits. So good! 1. You could use powdered milk in case of liquid milk. In that case use half a cup of powdered milk. In this case, the milk should be added to the flour at the beginning then 2 cups instead of 1 cup of water should be used. 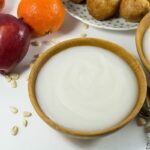 I must note here that fresh liquid milk is not so popular in Cameroon (but I use it because I can conveniently get it here) In recipes like this, powdered milk or evaporated milk is used. 2. Use evaporated milk for more flavor. 3. These crepes are fairly thick. If you prefer them on the lighter side, add in an additional half cup of water. 4. 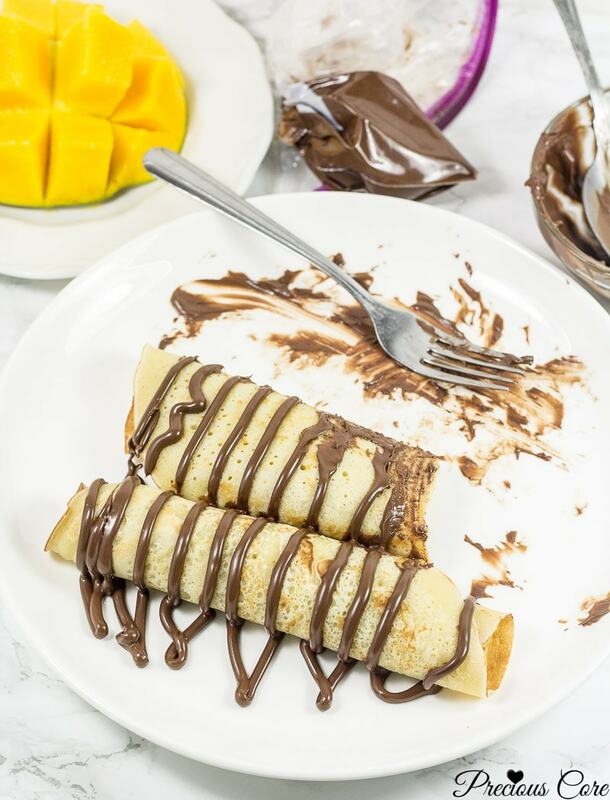 With this method of frying only the first crepe with oil and frying the rest without, the crepes fried without additional oil are not as oily as those made with oil poured into the frying pan each time. I prefer this method because with this I don't eat more oil than I need to. 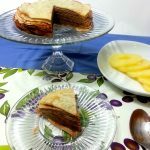 If you make this recipe, please share a picture with me on my Facebook page (Facebook.com/preciouscore) or on Instagram (@preciouscore). I’ll love to see! You know, this is timely. I’ve been looking for fun practical ways to present my daughter’s pancakes. She loves them a lot but I feel is such a bore being plain.I’d try this. I pack it for her lunch because she insists but I don’t like putting syrups or dripping chocolate because of the mess. Well, will try this while she eats it at home. For her school lunch, to prevent the mess, you could try the pancakes stuffed with omelettes. I just fry egg normally then roll in the pancakes. 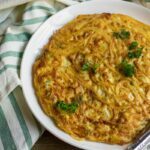 I serve it sometimes to my kids and they love it. Glad this helps, dear. These pancakes look tasty just as pretty as they look. weldone ma’am. Anti pre, thanks for that recipe, I’m happy I’ll make my daughter and husband taste the new recipe that’s our breakfast for tomorrow morning, I’m just curious, can I serve this with hot tea? You are welcome, dear. Yes, it goes very well with hot tea. Glad to know, Neola. Thanks for the feedback! You are welcome, dear. Please let me know how it goes.